Toyota came up with a great marketing plan… Put together a couple of teams of guys (remember gender neutral term use) in FJ Cruisers, send them out to hold workshops, run trails and give away some really cool swag that can only be had when you attend an event they show up for… Really, you can’t buy the stuff (eBay excluded), they just give it away! The Toyota Trail Teams have been making appearances at events all over the country for a couple of years now. And in 08 Toyota even came out with a special FJ Cruiser Trail Teams (TT) edition. Besides the swag, they also give away good advice, holding workshops on driving, recovery and treading lightly. I had the opportunity to meet up with them and they are great ambassadors. They really want to help make your off-road adventure experience a good one. They work hard… on the road for months… and they play just as hard. These are young guys so they have the stamina to drive all day and close the bars that night. And for 2008, those hard day’s nights are over. This year’s Toyota Trail Teams season has come to an end. But worry not they are already planning for 2009. In the mean time if you need your Toyota Trail Team fix, visit the Toyota Trail Teams site and check out the pictures, videos and stories. Maybe next year they will give away those GORE-TEX® jackets of theirs. It would go so well with the grill badge I have. Hey! This is ahmed, I was on the east coast team. We do work hard and play hard and what makes our job easy is all the great people we meet on our travels. Kits the diversity alone makes it worth it. Getting to wheel all around this beautiful country is a great perk too. 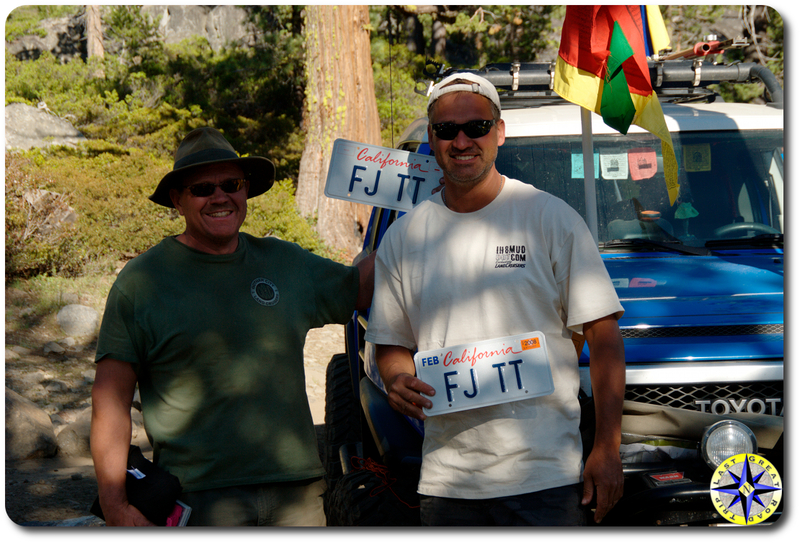 Looking forward to 2009 at your favorite trailheads! Zack here from the E, W, and C TTT’s past two years. Lets do hope we have another season ahead of us!